Kidadl is the mobile the end-to-end platform for parents to discover, book and pay for the best family-friendly events across their city. The vision is to become the global “go-to” brand in the market - worth over £460billion. The Kidadl app uses smart algorithms to personalise recommendations for parents based on the ages and interests of their kids & their location. Parents also get tips and reviews from other parents & sellers get access to a far wider market and an engaged ABC1 audience. 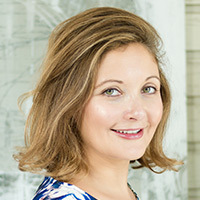 Hannah Feldman was a Linklaters lawyer, UBS banker and corporate advisor for the dragon James Caan over an 20 year career and has extensive experience in front office sales, business development, legal analysis and strategy. Hannah is also a mum of 3 and she has lived first hand the problem that Kidadl has been set up to solve, using the app on a daily basis for her own family needs.